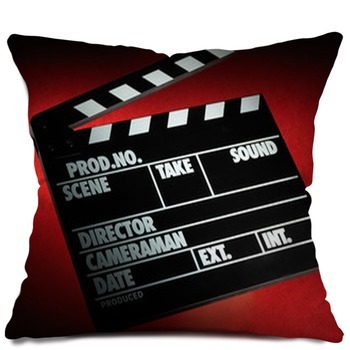 Be your own director with the themed movie pillows! 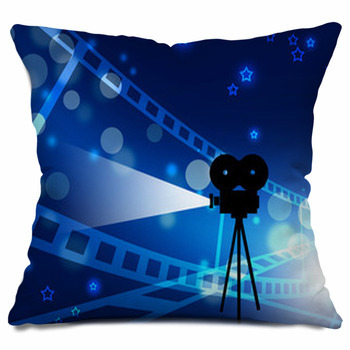 These are great for anyone that loves to film or just loves to watch movies! 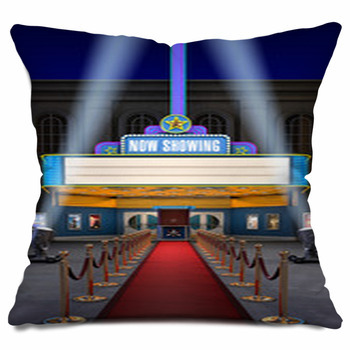 Decorate a bedroom, family room, game room, man cave, or theater with movie pillows or throw pillows! 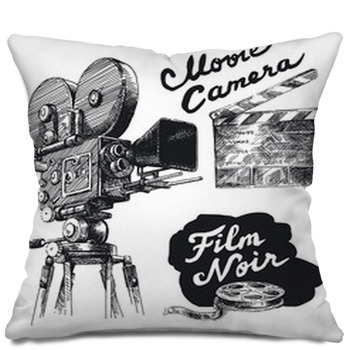 These pillows add the finishing touch to any room by creating a movie-themed atmosphere. Showcase your film aspirations with a pillow featuring a directors chair and accessories, a vintage camera with film in a colorful pastel backdrop, a digital collage of movie reels, film, and directors cuts, a red carpet pathway, an abstract collage of cinematography words, a close up of a modern, high-tech camera, an empty stage with a camera and lights all set up just waiting for you, or a showcase box with golden rows of film draping out. 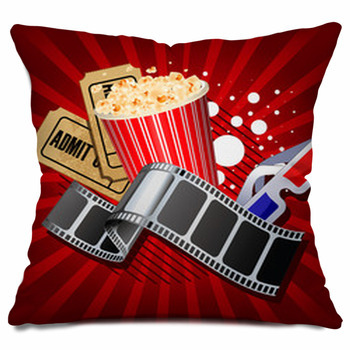 Put a classy finishing touch to a theater room using custom pillows with the popcorn, film, and movie ticket collages, or the cute, white character wearing 3D glasses and eating popcorn, a scene with the Hollywood sign, a bunch of modern and vintage movie tickets, an adorable penguin with 3D glasses or even custom fill in the words on a vintage theater sign or neon theater sign. 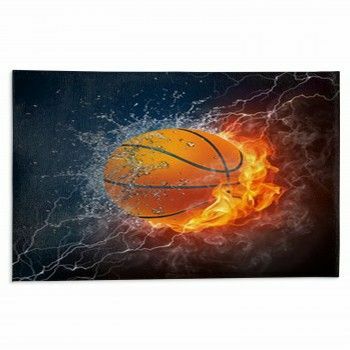 There are movie-style pictures of all kind to meet everyone's fancy. 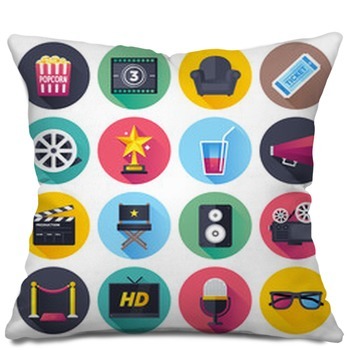 Try a pillow with a myriad of movie items like film, popcorn, reels, a 3D logo, tickets, a TV, and a theater sign. 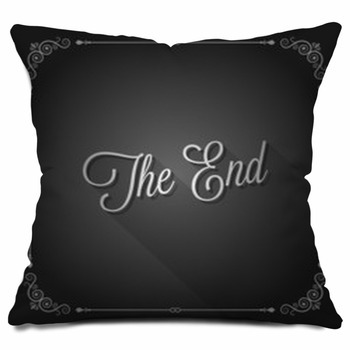 Get creative with a movie read that you can custom fill in the title, director, camera, date, scene, and take! 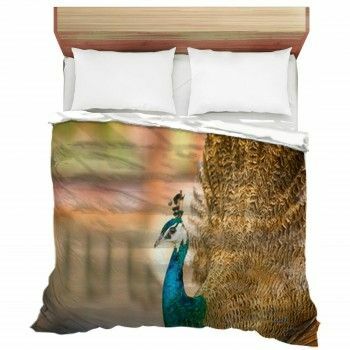 Take a more abstract approach with mix of movie film, shapes, and patterns. 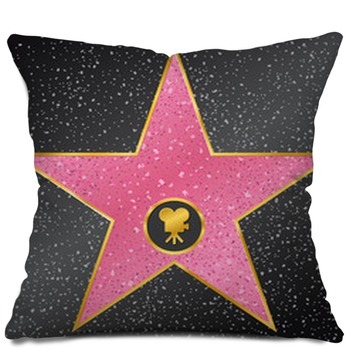 Stick with the vintage look by using pillows with vintage movie cartoons or people that are stars dressed in old-fashioned clothing. 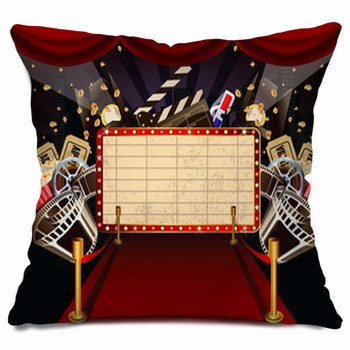 Use a pillow with a blank movie screen, television, or stage to create your own custom, unique feel!.